After roaming the corridors of ruined castles in my previous post, I will now return to the painting whose fragments I have used as the blog’s header and avatar. The exquisitely painted details may have made some of my readers wonder where they come from. Well, The Dissatisfied Painter was painted by an artist who has been mentioned here more than once: József Borsos. It is high time to show it in its entirety – all the more so because, despite its obvious qualities, it is not too well known, even in Hungary. Why is the painter sitting in his studio with such a stern expression on his face, and why is he destroying his works? 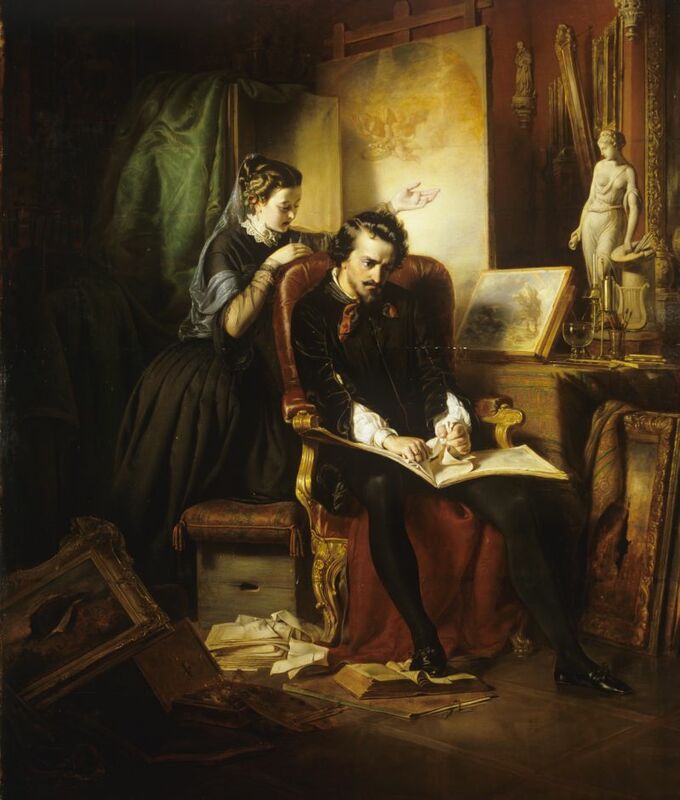 This is explained by one of the reviews published when the picture was exhibited in Pest, Hungary, in 1852: unappreciated by the world, the distressed artist is venting his despair. 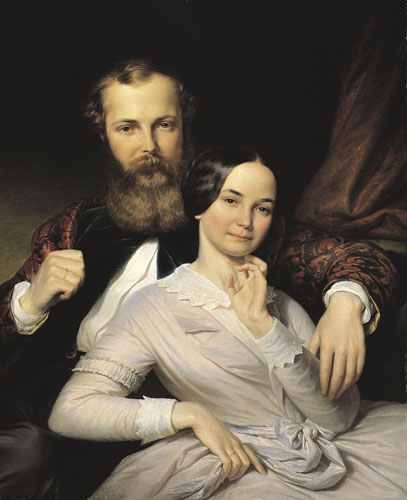 Figuring in countless stories, novels, and images, the romantic stereotype of the misunderstood great artist was already commonplace at the time. 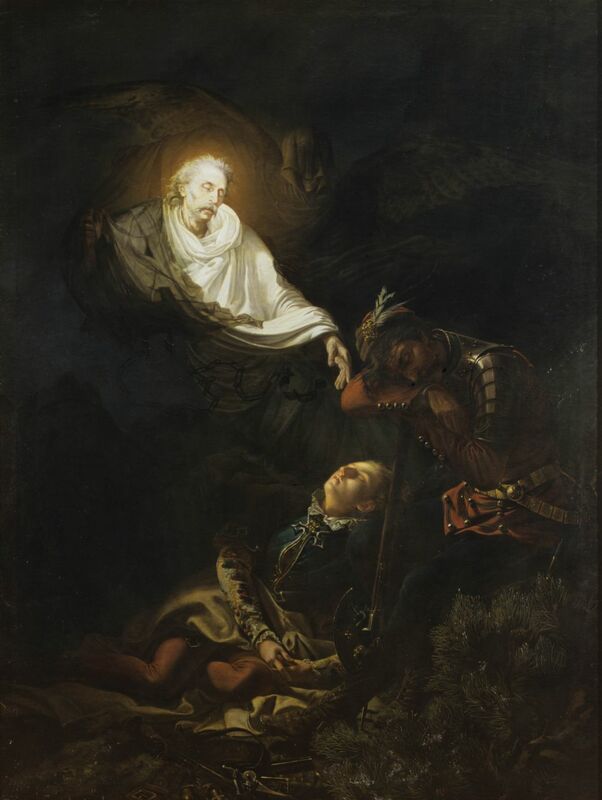 Consequently, not all critics were sympathetic to Borsos’ painting – some of them rejected it as a pompous rendition of a subject already seen a million times.